Scallops are the prefect food for singles. They are fast and easy to cook and very healthy. But often my friends say they are intimidated by trying to cook these pearly white discs of sweet, deliciousness, often getting mixed results. The best way to cook scallops, especially if you have a busy schedule is pan-searing them over hot heat with some simple flavors. When seared correctly, scallops are creamy, sweet and carmelized on the outside. I prefer the large scallops, which are usually available in most grocery stores. The added benefit is that these mollusks are what I like to call “power foods” because they are made up of at least 50 percent protein, low-calorie and loaded with magnesium and potassium. You will not only impress yourself but any date or friends you are entertaining. 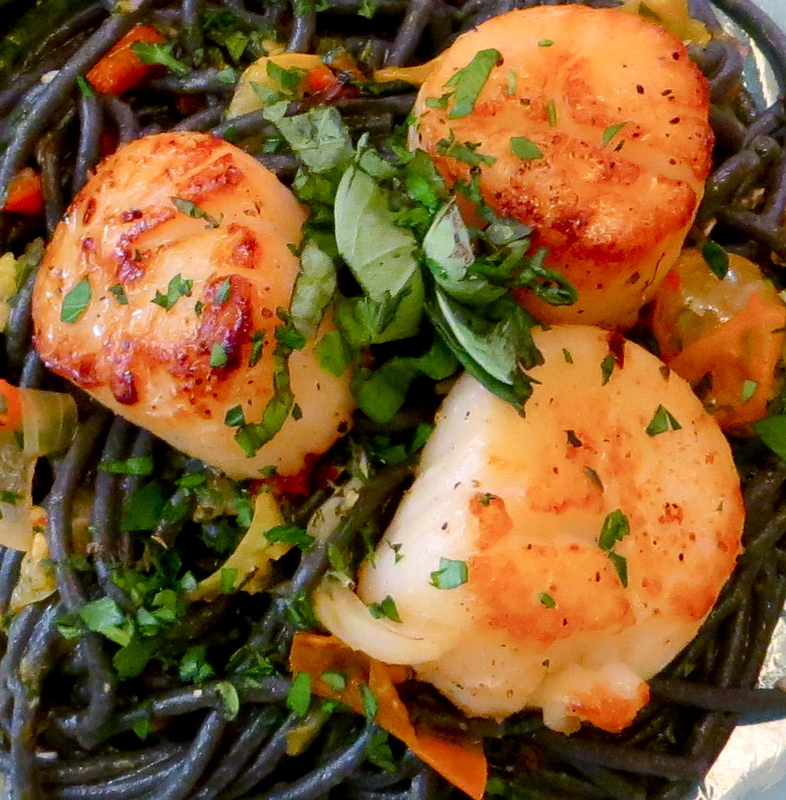 Add the scallops to pasta, rice or sautéed vegetables. In my next video I’ll show you a recipe and how to cook Squid Ink Pasta with Seared Scallops to truly take advantage of this healthy and easy seafood. Posted in Recipes and tagged cooking, recipe, scallops, seafood, sear, video. Bookmark the permalink. Thanks Gene. It’s my first attempt at doing video production.